An excellent way to save money is to cut out some expensive things that we typically buy. In my family, we like waffles, pancakes, and french toast and these are great inexpensive meals paired with eggs. They all also require one thing, Syrup. Even the store brand will cost almost $2.00 (or more!) if I can't find it on sale. We go thru about 3 bottles a month ( I have 4 kids, and my husbands will eat for 3). So on the high side, we spend about $72 a year on syrup that's if I don't buy it on sale with a coupon to make it cheaper then the store brand, and you bet I do quite a bit! So we decided to start making our own. We began by saving a few syrup bottles to reuse when we made our own. 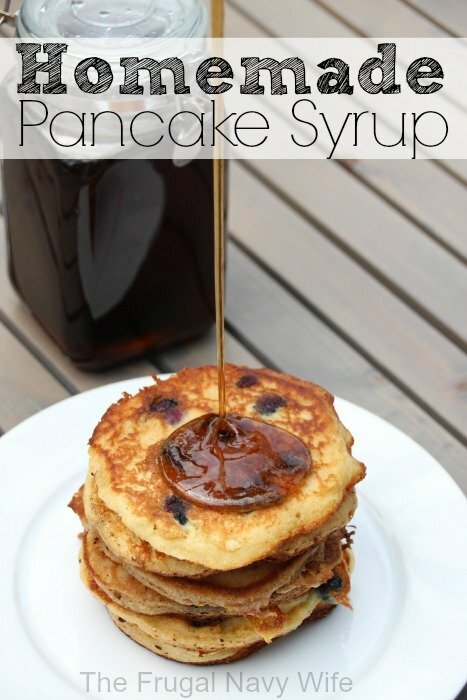 Then we started trying out a few recipes, here is the one my family likes most, I had all these ingredients in the house for other things I make, so it was like getting free syrup. Combine the sugars, water, and corn syrup in a saucepan and bring to a boil over medium heat. Boil until mixture thickens slightly, about 10 minutes. Remove from heat then stir in salt and vanilla, and id using the maple flavoring. Cool completely before pouring into bottle or jar. This syrup doesn't need to be refrigerated. Free Razors! New Razor Product Testing!! It should be there now, I am trying out a new way to be able to allow you to print recipes and I’m still messing with the settings.